Avoid all the costs and stresses of a traditional wedding! Perhaps you’ve been planning (or dreaming) about your wedding for years. With no expense spared, you could have the best of everything. A lavish reception, including a six-course sit-down dinner, sensational wines, a DJ or live band, a photographer, limousine hire, a stunning wedding dress, the men dressed in smart suits, magnificent flowers… the list is unending. And if you really go crazy, the cost could run into the tens of thousands. That kind of financial pressure is hard on everyone! No wonder some couples think about eloping. Or perhaps you might simply belong to a growing army of people who would never dream about putting on a full-scale production for their wedding. Your hard-earned money is already spent, on day-to-day necessities like living costs, rent, mortgage or the kids’ expenses. You might be in a hurry to get married. Or maybe you’re planning a wedding ceremony overseas but would rather be “legally married” before you go, rather than endure the complications of trying to get the paperwork sorted out in a foreign country. You don’t need any extra stress in your life. You have family overseas and you don’t like the idea of only having one partner’s family at the wedding. There’s a culture clash between your two families so leaving them out of your wedding will be the best way to avoid it. As you can tell, if perhaps you’d rather simply have an elopement wedding (a small, no-frills, private wedding), you’re not alone. It makes good financial sense. Thank goodness for Simple Weddings. 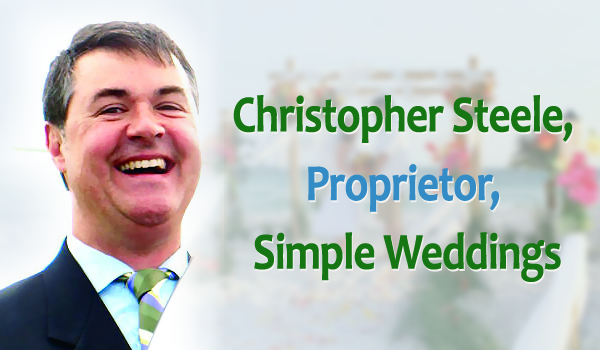 Simple Weddings conduct weddings promptly, easily…and simply! You can get married within just four to five weeks, and for just $199 or just $299 (yes it’s Australia’s best price). You can marry for $199 on a Wednesday at their convenient venue, The “Hi Surf Resort” in Surfers Paradise. Don’t spend a fortune on getting married or get wrapped up in a whole lot of stuff and nonsense. Why not get in touch with Simple Weddings now and organize your wedding? Phone 1300 668 459 or book online by simply filling in the form to your right.